A Cron Job is basically a scheduled task that your web host will run for you. You can set this up through your web hosts cPanel quite easily. 2. 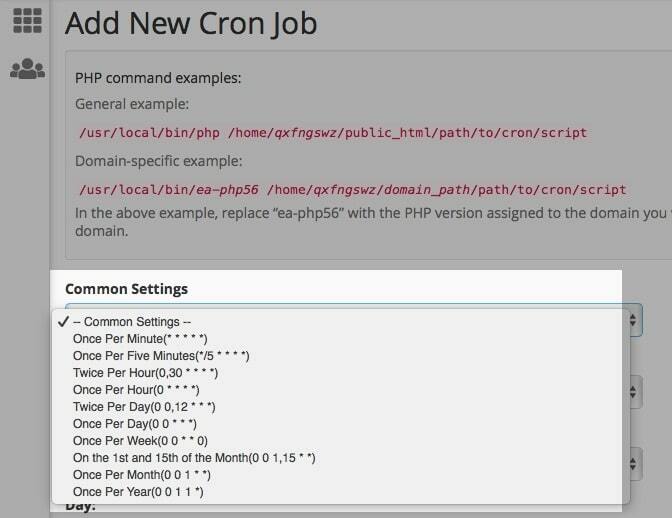 On the Cron Jobs page scroll down to the Add New Cron Job section and under common settings choose an option. 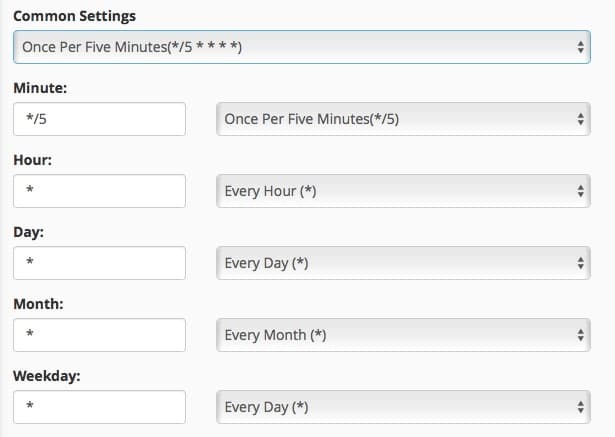 For sending emails you may choose one which says ‘Once Per Five Minutes’. This will populate all the fields below with the settings to trigger the Cron Job every five minutes. In the final field for Command copy the full cron command from within the mailing settings of your Fast Member settings page. Once you have added the cron command you will see a success message and the command will be added to the list of Current Cron Jobs. This means your Fast Member site is now ready to use the internal Fast Member Autoresponders and Email Broadcasts and also make use of the mail throttling options.